Lung cancer. 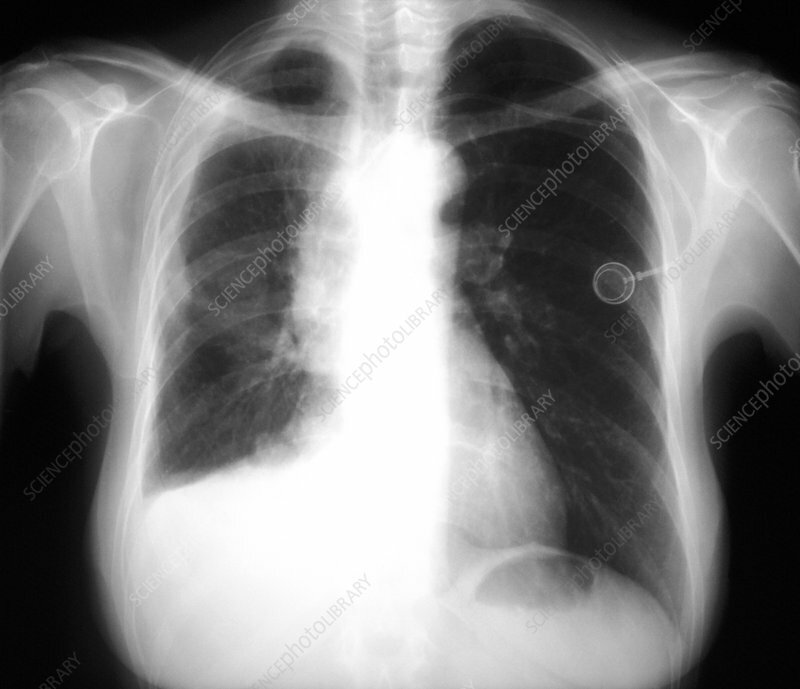 Frontal chest X-ray of the lungs of a patient with mesothelioma, a type of lung cancer. This cancer affects the pleura, the membrane that lines the lungs and chest cavity, and is usually associated with exposure to asbestos. Although mesothelioma can cause a cough and chest pain, in many cases it is symptomless. This delays diagnosis and therefore treatment. If a diagnosis is made before it has grown too large, treatment may include surgical removal. Otherwise the prognosis is poor.